There are so many health benefits of meditation it is hard to list them all. One of the best benefits of something like meditation is that meditation actually increases the brain’s neuroplasticity, which is the brain’s ability to make physiological changes for the better. One might even say that meditation is as beneficial to the brain as exercise is to the body. Meditation can help you think more clearly and it can also increase your brain’s gray matter, which is involved in the processing of information. Larger amounts of gray mater can even denote increased intelligence and skill and studies have shown that gray matter may even decrease with age, causing short term memory problems with the elderly. There have also been studies, which have shown that differences in gray matter may also be attributed to certain psychological disorders like bipolar disorder. Meditation also increases what is called white matter, which is known as the wiring or the communication system of your brain. In other words, the more you meditate, the better the connections in your brain function. Meditation also helps to strengthen the prefrontal cortex and the cerebral cortex, which has to do with your attention, consciousness, perceptual awareness and memory. Since meditation helps you live in the moment, it helps you block sensory and cognitive input, which can in turn help you ease stress, anxiety and worry. Meditation can even help you achieve what is called brain synchronization, which is the ability to use both sides of your brain together. Other health benefits of meditation include changes in the brain’s chemicals. 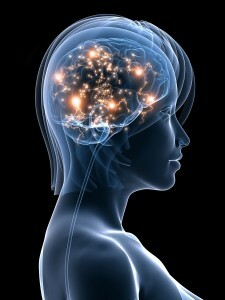 When you meditate your brain releases nature’s pain reliever, your bodies feel good chemical called endorphins. Endorphins are incredibly powerful and they are a category of neurotransmitters that can help your body fight pain. Endorphins also help you feel happier and they can even work to reduce blood pressure and help you fight disease. The body also releases these powerful endorphins when you exercise, which is also known as runners high. Meditation is known to boost what is called DHEA, which can help enhance the memory, alleviate depression and help you improve your sense of well-being, not to mention help you support your immune system. Meditation is also a wonderful mood stabilizer, helping your brain release what is called GABA. Studies have shown that inadequate amounts of GABA may even cause more serious ailments like epilepsy and insomnia in addition to anxiety and tension. People who find themselves addicted to drugs, alcohol, caffeine, food and even gambling may actually find that they do not have enough GABA. Meditation can help you get a better night’s sleep as well because it helps your brain release melatonin, which helps aid a restful night’s sleep. Things like stress and chronic anxiety can lower the body’s supply of melatonin so meditation has a myriad of health benefits beyond the obvious. The health benefits of meditation continue because meditation even helps you improve your mood and behavior with the powerful release of what is called serotonin. Lower levels of serotonin are linked to things like insomnia, depression, migraine headaches, premenstrual syndrome and even sleep apnea and narcolepsy. Lower levels of serotonin can even contribute to obesity, which of course leads to other more serious conditions. Meditation may in fact be just as powerful as some prescription drugs like Prozac, Paxil and Zoloft, because those drugs also restore healthy levels of serotonin. The fact of the matter is that meditation is a much better option since it has no cost and no damaging side effects. There has been a lot of buzz about things like HGH or human growth hormone, since it is one of those things needed to sustain your tissues and organs as you age, and meditation helps you boost HGH. As you age, your supply of HGH diminishes, causing decreased bone density, decreased muscle mass and even things like a lack of motivation and poor mood, all things meditation can help counteract. Meditation is a very powerful weapon in the fight against aging and in the fight against disease and meditation can even help you decrease your levels of cortisol, which can very damaging to your body. Cortisol is an age accelerating hormone, and it can cause chronic stress, poor cognitive performance, and even increased abdominal fat. According to WebMD, a mere 20 minutes a day spent meditating can improve your health, since it tends to lower your blood pressure and boost your immune system. Regular meditation can be a very powerful stress reliever and it is a powerful arsenal to have in your medicine cabinet. The best way to find out all of these amazing health benefits is to try meditation for yourself. 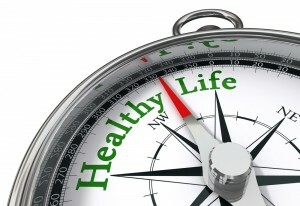 Once you start seeing the incredible results, you will start using it as part of your everyday stress reduction program.